Tidewater Marina is located in a quiet industrial section of Baltimore – where the landmark highlights appear to be a cruise line pier, the Baltimore Sun, Walmart and Nicks Fish House. With our salon window redesign underway by repairman Clifton at Tidewater – molds of the new window hatches, grinding and fiberglass dust all added to our blue-tarp under construction “look”. It also made Cat Maudy unlivable. No matter how hard we tried to keep the interior free of fiberglass dust – it managed to get everywhere. In addition, whenever it rained (a daily afternoon thunderstorm phenomena) – water got in the boat…maxing with dust particles for a delightful paste of water and fiberglass to clean up. We kept our fingers crossed that Clifton would work fast and long days – but the temperatures proved to be too high for this native Trinidad boat worker. By late morning the heat and humidity was overwhelming. We would spend our days at Tidewater, supervising, becoming regulars at Nicks Fish House, and vacate Cat Maudy in the evenings for land life. 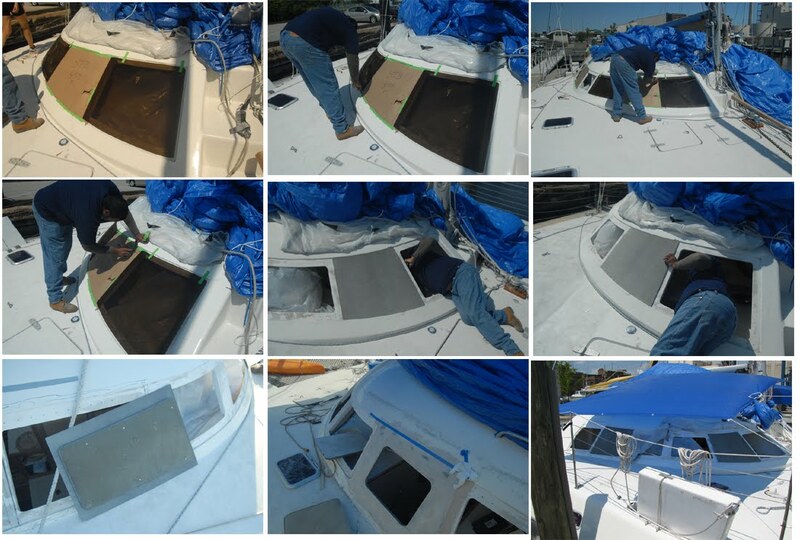 Soon the hatches will be installed – and we will be ready to install the new acrylic windows in the remaining portals. 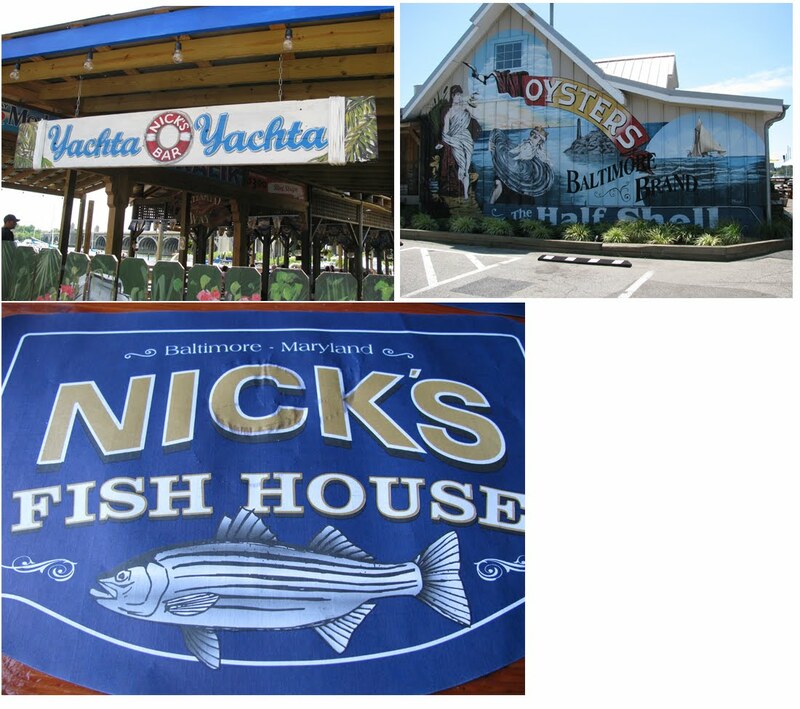 And, in the meantime – the food at Nicks Fish House was fantastic!